GoPro Inc.’s (GPRO) shares gained 1.3% in aftermarket hours on Wednesday after the company topped expectations for revenues and swung to profitability in the fourth quarter of 2018. Total revenue grew 13% to $377.3 million versus the same quarter last year. 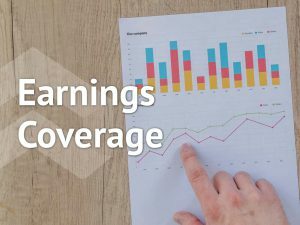 GoPro.com represented more than 10% of revenue in the quarter and grew over 50% year-over-year. 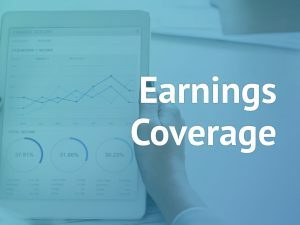 On a GAAP basis, the company reported a net income of $32 million, or $0.22 per share, compared to a net loss of $55.8 million, or $0.41 per share, in the prior-year period. Adjusted net income totaled $42 million, or $0.30 per share, beating consensus estimates. 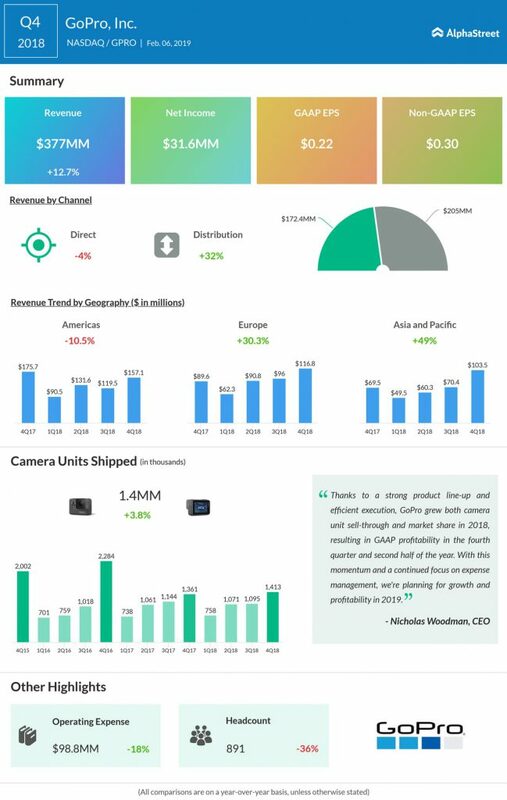 During the quarter, GoPro’s camera unit sell-through rose 20% year-over-year. In the US, the company captured 97% dollar share and 87% unit share of the action camera category. In Japan, GoPro captured 57% unit share, up from 50% last year, according to GfK. In China, unit sell-through grew by 2% year-over-year, while in Thailand, sell-through grew by 169% in units and 154% in dollars, according to GfK. 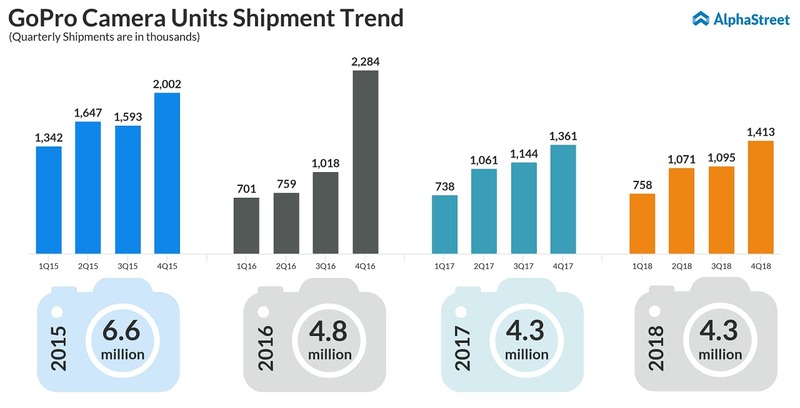 GoPro Plus subscription service reached 199,000 active paying subscribers as of today, up over 50% year-over-year. In December, GoPro said it was planning to move some of its camera production out of China to avoid tariffs. The company did not specify a location but the shift is expected to take place by the summer of 2019.